You have a spotless driving record, so when you applied for car insurance, you were shocked to see that you were denied coverage because of your credit based insurance score. What does this mean, and how can you change it? 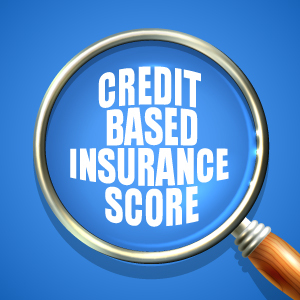 What is a Credit Based Insurance Score? A credit based insurance score is similar to a credit score, but varies both in its determining factors and in its intent. While a credit score is based on additional factors, such as income, a credit based insurance score only considers the following factors: credit history, including past-due payments and accounts in collection, high amounts of debt, types of credit and number of recent inquiries. Insurance scores, unlike credit scores that predict how well a person will repay debts, are meant to determine the amount of risk the insurance company takes when insuring a consumer. Your insurance company might try to tell you that they use insurance scores in order to “make sure you’re not overpaying for car insurance,” and try to assure you that “most consumers benefit from the use of insurance scores.” Yet, according to CBS News, if you fall victim to an unfair decision based on your credit score, it could mean that you could pay almost twice as much in insurance premiums. These insurance scores began appearing in the early ’90s and have since gained popularity with insurance companies because of studies conducted by the Federal Trade Commission and independent organizations. These studies claim that there is a correlation between a consumer’s credit score and his risk. However, while these studies claim that insurance scores do not discriminate against minorities or lower income consumers, the studies could also be ignoring the reasons why bad credit drivers may have higher rates of claims. For example, it has been suggested that drivers with lower credit scores may have a higher number of claims compared to drivers with better credit because they are unable to afford repairs out of pocket. Here at KBG Injury Law, we understand that low credit scores can happen for a variety of reasons. A medical emergency, recovering from an accident or illness, or suffering financial hardships, can all indirectly impact your credit score. Some insurance companies claim to forgive credit based insurance scores if you can prove extraordinary circumstances, but the burden of proof falls to you, which, if you are recovering from an accident, can be just another unnecessary and painful hoop to jump through. The irony is not lost on us. One insurance company can deny your claim after an accident resulting in injury, causing you financial trouble that can lead to lowering your credit score. Then, when you apply for new insurance coverage, another company can use that credit score to deny you coverage or to justify setting your premiums at a higher rate. Don’t let this happen to you. If you’ve been involved in a serious accident, hire a personal injury lawyer who has experience dealing with insurance companies and delivers the Results You Deserve®.